As regular visitors know, we get quite a bunch of "Neil Art" submitted. You name it. Sculpture, paintings, graphics, and on & on. Some of it is really quite nice. Others? Well, not so nice. 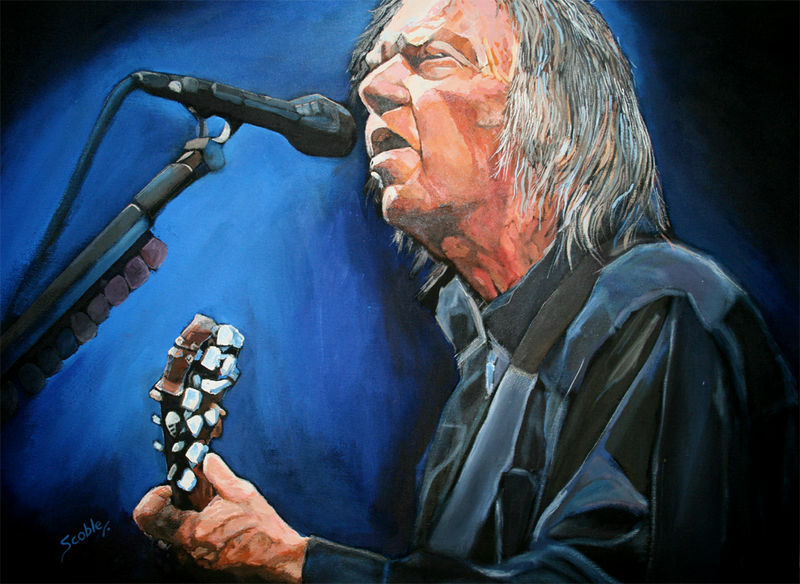 Here's a cool Neil Young portrait by Merv Scoble. It's acrylic on canvas 27" x "36". Celebrating the great International Harvesters album A Treasure! I still love this real treasure! And it's also nice to play A Treasure first and let it follow by Old Ways. You can try this at home. It's really nice. But if you have an old record player be aware not to play side four. I did do this a couple of times but it's way to experimental. Experimental thrash noise!